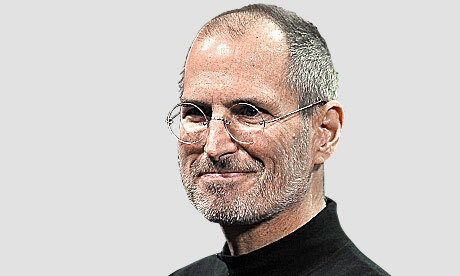 The Guardian newspaper has named Steve Jobs its most influential person in media for the first time, topping an annual list of 100 people around the world. Jobs takes over the top spot from Larry Page and Sergey Brin who moved down to the second spot and are followed by Mark Thompson of the BBC at third, Rupert Murdoch at fourth, Evan Williams of Twitter at fifth, Simon Cowell, TV producer at sixth, Mark Zuckerberg at seventh, James Murdoch of News Corp at eight, Jeremy Hunt, the UK’s culture secretary at ninth, and Archie Norman of ITV at tenth. Jobs ranked 4th in last year’s poll.